It is a question that sparked a year and a half of research, and probably many more, on the cannabis plant and its human history. At this point, I can only hypothesize an answer. But that is no longer my main concern, as in the course of my research the entire story of drug plants, with its remarkable evolutionary twists, poetic dichotomies of tragedy and ecstasy, and penultimate truths, bared itself before me as one of the most fascinating stories in the history of evolutionary life. In plants, humans have found nearly everything they need: food, fuel, shelter, fiber, medicine. With plants that provide these in a reasonably efficient manner, humans have formed ancient, reciprocal relationships, in which immobile plants defy the worst of their evolutionary handicaps. They increase and spread their populations rapidly via means of human waste, locomotion, cultivation, and most recently, transportation. This gives them the edge over plants that either produce nothing of benefit to humans—the rare plant indeed—or whose useful qualities have yet to be discovered. Drug plants derive all of these same benefits from humans, yet they provide us not with sustenance but with another extraordinary, if controversial benefit: The coveted shift in consciousness. Like the innumerable other plants that produce our food and medicines, plants such as cannabis, poppies, tobacco, coffee, coca, tea, and khat sit precisely at the literal boundary between nature and human society—by “literal boundary,” I mean the human body, which both food and drug plants physically enter. Admittedly, the simplistic categories of “food” and “drug” plant are a bit misleading, as many plants serve more than one purpose to humanity. 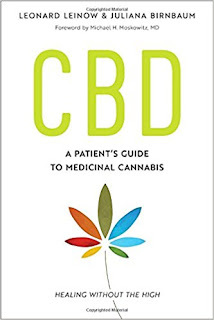 Cannabis, for example, is perhaps the only plant used as a drug, food, medicine, and fiber, and so smudges the categories a bit. Alcohol is a drug derived not from any particular plant but can be made from almost any of them, including food. Though it certainly has a natural element and has redirected societies and human experience in the past, alcohol does not logically fit into this essay except as part of the pantheon of most commonly used drugs. Because it is no longer primarily cultivated for food, cannabis cannot be considered a true “food plant,” and thus fits better into the “drug plant” category. As occupants of the literal boundary between humans and nature, drug plants actively contribute to our understanding of the human condition and experience; just like food, by sampling these substances and allowing them access to our bodies and minds, we can then embrace some as helpful, reject some as harmful, accept some as both and try our best at mitigating their negative effects, and ultimately decide their place in our respective societies. This is the rational approach to intoxicants that has been used for centuries in many places but has fallen out of favor in the last hundred years, especially in the West. Unlike food plants, drug plants are not primarily sought for nutrients and vitamins essential to human life, substances that are to be processed, absorbed, and imperceptively burned off, their non-useful parts efficiently jettisoned by the human body. What is sought in the drug plant is equally chemical but physically unnecessary: A change in perception. This altering of the mind, triggered by chemical reactions in the brain, can be as subtle as renewed and pleasant focus on a book (caffeine), or as radical as a guided tour by aliens across a previously unimagined plane of enlightened existence (DMT). It all depends, of course, on which drug plant is consumed. But if the types of psychoactive plant material people consume differ between effect, society, region, and over time, consumption itself has never ceased. As the intellectual journalist Michael Pollan writes in The Botany of Desire, the ability of a few fascinating plants to grant us new mental lenses through which to view the world (and beyond) has had a profound effect on physical human history. For these lenses, these shifts in the perception of reality or in reality itself, have inevitably resulted in the production of new ideas; many of these ideas can surely be disregarded as quaint or inane, but some of them may well be the keys to furthering human understanding and societal progression. For example, biologist Robert Clarke and historian-geographer Mark Merlin argue that “diminished aggression,” a well-known effect of drug cannabis, “may have been of great advantage in surviving the confrontational social situations that humans have been increasingly exposed to during the evolution of contemporary societies,” and that the drug “in the long run may affect our personal growth beneficially and therefore enhance our chances of survival.” It is no secret that entire religions have been founded and modified, entire societies re-ordered, and whole music genres inspired by thoughts and visions induced by psychoactive plant compounds. Reformers and activists from all eras, indignant toward what they see as stale, unjust pieces of their societies, have turned to psychoactive substances to re-imagine human environments and relations—see the 1960s American counterculture—or clearly define and articulate societal problems and their solutions—see the coffee dens of the Middle East, or anti-colonial khat-chewing groups in 1950s Somalia. Drugs, particularly stimulants like caffeine, cathinone, or the coca leaf, are also used practically to augment work and study. 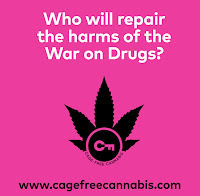 Classically, and because many of these substances take their imbibers “away” from their existential stresses, drugs are often used by the destitute and downtrodden of all world societies, an association that has led almost invariably to criminalization of both plant and person. Indeed, even in their most subtle forms, the sensory experiences these substances produce are so different from our ordinary mental state that most of these plants have at one point or another been categorized as partly or wholly evil. While that label is assuredly a constructed one, often based on humanity’s ancient fear of the unknown, there are indeed things about drugs that should inspire not necessarily fear, but cautious respect: just as with natural disasters, when presented with the right circumstances, nature—forever destined in Biblical history to be the slave of man—will use her chemical bounty to destroy and enslave as well as inspire and relieve. It is true that in a society that demonizes and criminalizes drug use, addicts are put in desperate situations and indeed do awful things to abate their sickness. But we are already witnessing the positive effects of common-sense drug politics. In 2001, after years of prohibition failed to head off an HIV epidemic propagated by the widespread use of dirty needles for injected drugs, Portugal decriminalized all illicit drugs. Under the new laws, people caught using have their drugs confiscated and are put before a health committee, whose primary goal is to persuade addicts to enter into free, state-sponsored rehabilitation facilities. These facilities are not prisons or mental wards that seek to sweep drug users under the societal rug, but actual clinics that focus on patients’ recovery and restoration to society. Compliance is enforced by various sanctions, none of which have the demonizing and brutal undertone of drug enforcement in the U.S. Most importantly, the teenage rate of drug use has decreased, and the rate of HIV infections has decreased markedly. Additional benefits of the Portuguese law include redirection of police funds and activity away from drugs and toward other forms of crime, and a significant reduction in drug use among prison populations. In December 2013, Uruguayan President José Mujica, spurred by his own acceptance of the drug war’s failure and supporters’ desire to take the drug trade out of the hands of violent outlaws, pushed for and signed a bill that made the Latin American nation the first in the world to legalize cannabis. Drug plants like cannabis need to be studied because so many societies and people still irrationally fear them, and this fear has led to a loss of control and a great deal of human suffering—and oddly enough, more fear. We are not willing to regulate these “evil” substances ourselves; nor are we willing to accept that people will always use them or that arresting people for drug use solves no problem for anyone. We instead cede the trade in drugs to violent, opportunistic thugs, and then send in paramilitary police forces with guns blazing to fight them and turn our neighborhoods into hell holes. In these guerilla war zones, like Ciudad Juarez or Medellín or southcentral Los Angeles, teenagers are blown away on street corners, mothers and fathers are kidnapped and decapitated, and photojournalists take so many photos of bloody bodies in the streets that they are desensitized to the rampant death in their communities—all because we’re afraid of some plants. Escalating the danger in these places is the exorbitant power states often grant to the police, who are allowed to violate the rights of citizens in the name of “defending” society from drugs. When drug trafficking does not stop, or falls and then rises again, or when this approach does nothing but rip apart communities and mortify the citizenry, our solution is to do the same thing again. And again, our political leaders tell us, for no cost is too high for a planet of people so insanely dedicated to satiating their irrational fears. Political opponents of prohibition are labeled as drug-supporters, and are written off as “high” themselves. Maybe they are; and maybe that’s why we should listen to them, because whatever drug they do in their spare time, there is no more dangerous drug in the world than fear. Indeed, no drug except fear could by itself produce the current, drug-war dystopias we live in today. When we begin to study and understand most drugs as plants first, this fear begins to subside. We remember that the coca leaf is a helpful, harmless stimulant; that the poppy is also a source of food and a symbol of remembrance; and that cannabis has myriad benefits in addition to the mild and medicinal mental shift offered by its drug form. 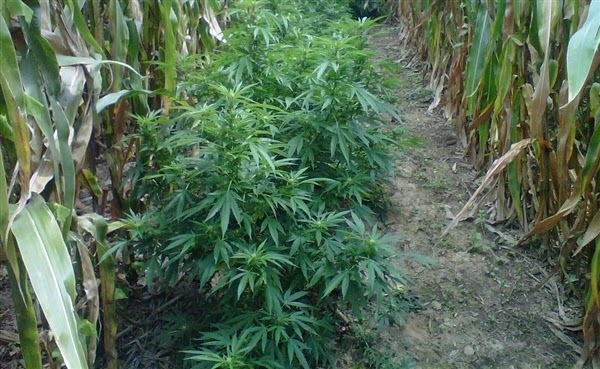 We remember that cultivators of drug plants represent not mere criminals, but an extraordinary wealth of traditional horticultural knowledge that has helped people survive in hard economic times. This knowledge encourages once-ubiquitous practices that should be reintroduced to the legitimate crop trade, such as the personal saving and interbreeding of specific seeds with desirable traits. In an age where profit motive has driven dominant, God-seed companies like Monsanto to engineer all of the biodiversity out of important, historically robust plants like soy and corn, drug plant-growers’ original knowledge and agricultural methods—ironically encouraged by prohibition—are to be studied and where possible, emulated. And by remembering the way these plants and the people who grew them have shaped our societies, we see that even strong, dangerous, manufactured drugs like methamphetamine are developed in response to failed or non-existent social policies that leave so many of our citizens behind. Addressing drugs as plants first also leads us to examine their entire evolutionary story, exposing the ancient and important relationships they’ve had with humans. Recognizing these plants’ historical importance to humanity is an important step in re-tooling our planet’s draconian, culturally constructed fear of drug plants, with the ultimate goal of taking them out of the hands of murderous professional criminals. This is most certainly the way to a more enlightened world society, and its realization will take the combined vision of scholars and politicians who are unafraid to see drugs for what they really are: as unique features of a handful of remarkable plants that evolved to help them—and quite possibly us—survive. Michael Pollan, The Botany of Desire: A Plant’s-Eye View of the World (New York, Random House, 2001), 141-45. Robert C. Clarke and Mark Merlin, Cannabis: Evolution and Ethnobotany (Berkeley: University of California Press, 2013), 369-370. Pollan, Botany of Desire, 143-45; on the role of marijuana in 1920s jazz culture, see Martin A. Lee, Smoke Signals: A Social History of Marijuana—Medical, Recreational, and Scientific (New York: Scribner, 2012), 43-48. Jacob Sullum, Saying Yes: In Defense of Drug Use (New York: Putnam, 2003), 10, 18, 22-23. Caitlin E. Hughes and Alex Stevens, “What Can We Learn from the Portuguese Decriminalization of Illicit Drugs?” British Journal of Criminology 50 (July 2010), 999. Simon Romero, “Uruguay Acts to Legalize Marijuana,” New York Times, December 10, 2013.